Firing an employee can be a difficult task. But sometimes, you're left with no other choice. Firing an employee is rarely easy. Even if you notice performance issues or problems with the overall culture fit, the worker you have in mind may have strong qualities that make up for those weaknesses or a personal connection that leaves you sympathetic. There’s no such thing as a perfect worker, so determining the line between a good worker with flaws and a true liability is always tough. Still, there are a handful of signs that can tell you whether or not an employee truly deserves to be fired as well as when that firing should occur. What you define as an “ideal” performance is unique to each department, sometimes unique down to the individual, and ultimately up to you as a business. These standards may be flexible or non-negotiable, and they may be rigidly defined or ambiguous. In any case, they should be met consistently. If you have target sales figures for each of your individual salespeople, you expect those sales figures to be met. 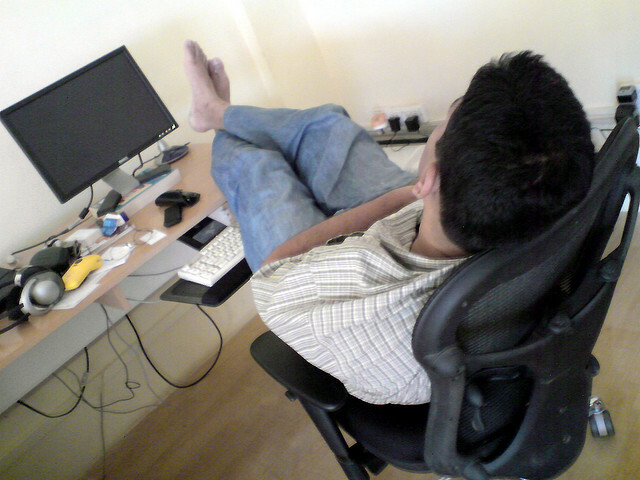 If your office hours are 9 to 5, you expect your employees to show up on time and stay until closing. Obviously, there are always extenuating circumstances. 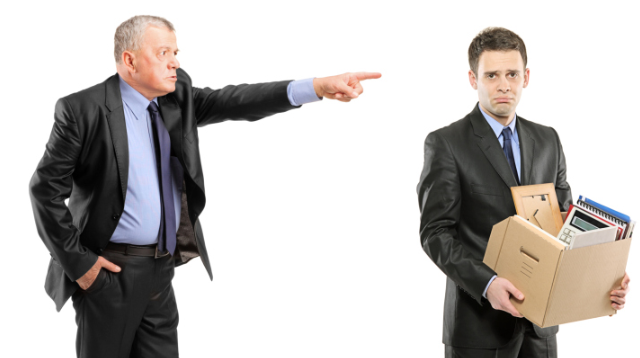 No single instance of poor performance should spell an employee’s termination. Getting stuck in traffic can make someone late, and bad luck can interfere with an employee’s rate of closing sales. But when you see a pattern of unmet performance expectations, have a conversation with the employee. If you still see a record of poor performance, it’s time to let the employee go. 2. Your employee resists change. Every organization demands change, to some degree. It might be a company-wide shift in direction or a simple procedural change at a department level. For employees to stay productive and follow your directives, you need them to be open to change. If you have a conversation with an employee, and he/she outright refuses to adjust his/her role in the organization, it is a sign that it is time to part ways. Keep in mind that not all resistance should be considered a fireable offense. If an employee disagrees with a change and voices his/her opinion, that employee should be heard and rewarded for his/her honesty. Only when the opposition comes in the form of outright refusal to comply or compromise should you take immediate action. 3. Their drop in productivity extends to others. Occasional drops of individual productivity can be frustrating, but they are seldom symptomatic of a larger problem. A worker may be having problems at home or an influx of stress interfering with his/her ability to perform. However, if you notice that a group of employees, or maybe your entire company, has experienced a drop in productivity, and you can trace the root of the drop back to a single employee, you have a major issue to correct. Your employees should collectively inspire each other to work harder and accomplish more. If one employee is creating a drag effect on your total productivity, you need to fire that employee immediately to curtail the effects. The collective morale of your organization is just as important as the collective productivity. Oftentimes, negativity is the root cause of a major drop in morale. That negativity can come in the form of pessimism, excessive criticism, resentment or even hostility. Since negativity is contagious, if one employee is the root of this negativity and conversations to change the behavior have gotten nowhere, it’s time to fire that employee. The morale can also change if the worker is interfering with your employees in other ways. For example, if the target worker is overbearing or obnoxious, annoying his/her coworkers on a daily basis with no attempts to make positive changes, it’s better to lose one employee than all of them. Your customers are your company’s lifeblood. Without them, you won’t have a business, so they need to be your absolute priority. If your employee’s behavior or actions have decayed to such a degree that you’ve received a serious customer complaint, it’s time to have a stern conversation about work expectations. If a pattern or series of customer complaints emerges, you can waste no more time. Fire the employee immediately. Sometimes, the employees you need to fire aren’t necessarily “bad” workers. They simply aren’t a good fit for your company culture, or they’re too resistant to change to stay productive in the long term. Firing these employees is hard, especially in a small business, but the longer you wait to make the decision, the more damage they’ll be able to cause. Take notice of these warning signs and take action quickly to mitigate that damage.